Dogs Bite Decatur Al: LEANDER TX - A 70-YEAR-OLD WOMAN RETIRED TO TEXAS WITH HER BELOVED INDOOR CAT "MR. BUGGLES" TO BE NEAR HER DAUGHTER AND GRANDCHILDREN 6 MONTHS AGO - HER NEIGHBOR HAS 2 PIT BULLS THAT TERRORIZE HER AND THEY KILLED MR. BUGGLES!!! LEANDER TX - A 70-YEAR-OLD WOMAN RETIRED TO TEXAS WITH HER BELOVED INDOOR CAT "MR. BUGGLES" TO BE NEAR HER DAUGHTER AND GRANDCHILDREN 6 MONTHS AGO - HER NEIGHBOR HAS 2 PIT BULLS THAT TERRORIZE HER AND THEY KILLED MR. BUGGLES!!! A Leander woman is left without her beloved pet after her neighbor’s PIT BULL mauled and killed her 2-year-old cat, Mr. Buggles. Joanne George moved to Leander just six months ago for her retirement, and she has already experienced several hostile incidents with the neighbor’s dogs, reported Hill Country News. The cat was given to George by her pastor in Pennsylvania when it was a kitten. George called Leander police, but all they could do was write her neighbor a ticket for having a dog at large. The reason for a fine being the only punishment: legally, animals in Leander are considered property. No matter how much owners may treat their pets like part of the family, an animal killing another is a property case, said Edna Stambaugh, Leander Animal Control’s Animal Services supervisor said. Although Mr. Buggles was an indoor cat, George created a space for it to play outside by attaching three rabbit cages together. It was not enough to protect the cat from the pitbull. George’s daughter Amanda now fears for her mother’s safety. 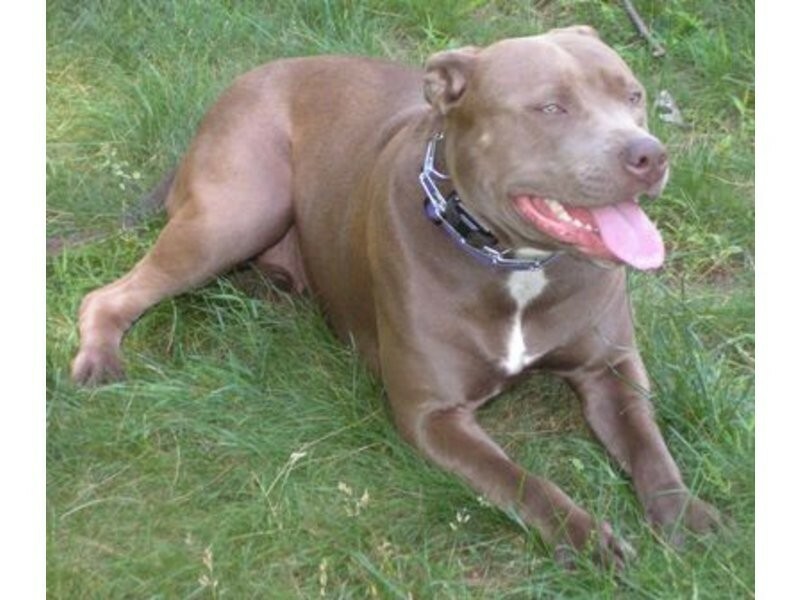 Texas law allows a person to shoot a menacing pit bull dead. They too are only property.